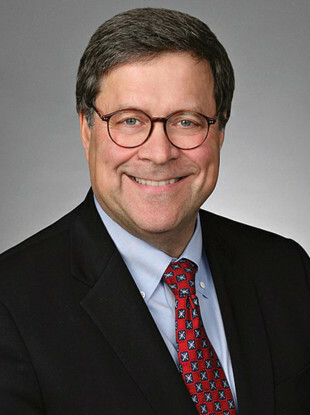 Undated photo of William Barr. US PRESIDENT DONALD Trump has said he will nominate William Barr, the late President George HW Bush’s attorney general, to serve in the same role. Trump made the announcement while departing the White House for a trip to Missouri. He called Barr “a terrific man” and “one of the most respected jurists in the country”. If confirmed by the Senate, Barr would succeed Attorney General Jeff Sessions, who was forced out by Trump last month following an acrimonious tenure. Sessions’ chief of staff, Matthew Whitaker, is currently serving as acting attorney general. Trump’s fury at Sessions for recusing himself from the Russia investigation – which helped set in motion the appointment of special counsel Robert Mueller – created deep tensions between Trump and his Justice Department. He sometimes puts the word “Justice” in quotes when referring to the department in tweets and has railed against its leaders for failing to investigate his 2016 campaign rival, Hillary Clinton, as extensively as he would like. The investigation appears to be showing signs of entering its final stages, prompting a flurry of tweets from the president yesterday and today. But an attorney general opposed to the investigation could theoretically move to cut funding or block certain investigative steps. He told The New York Times in November 2017, in a story about Sessions directing his prosecutors to look into actions related Clinton, that “there is nothing inherently wrong about a president calling for an investigation” – though Barr also said one should not be launched just because a president wants it. Barr had been on a White House short list of contenders for several weeks, said a person with knowledge of internal discussions who was not authorised to speak publicly. But some inside the White House were concerned that Barr was too aligned with establishment GOP forces. Trump said Friday Barr had been his “first choice from Day One”. Email “Trump nominates lawyer who served under George HW Bush as attorney general”. Feedback on “Trump nominates lawyer who served under George HW Bush as attorney general”.